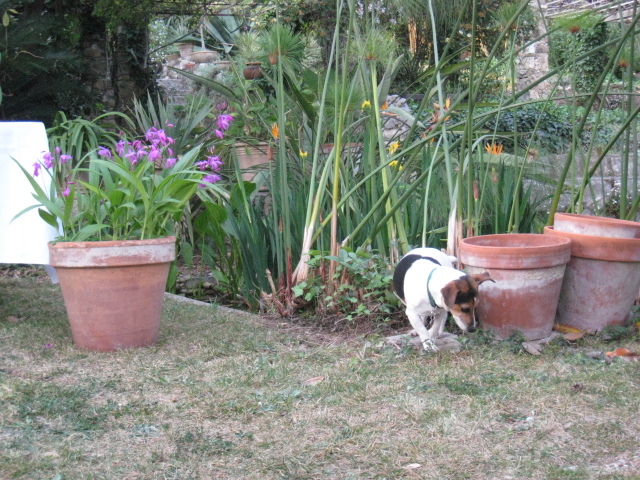 Taken in the beautiful garden of the Clos du Peyronnet in Menton, this little Jack Russell is having fun hunting amongst the pots. This was taken on the day the owner of the Clos was awarded the Chevalier des Arts et des Lettres. Felicitations, William. 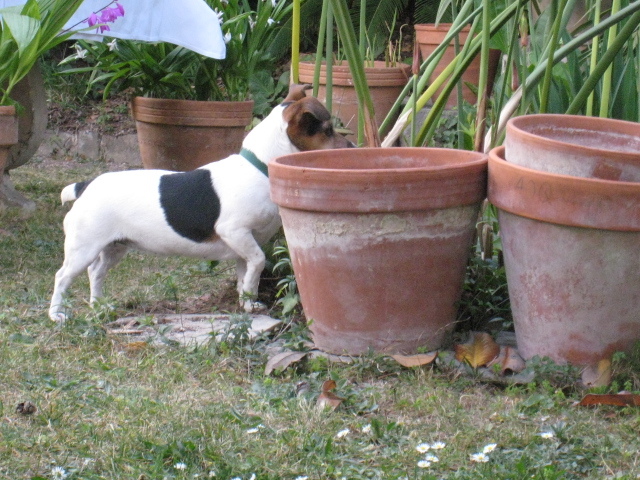 ahhh a dog I recognize....and they are busy little guys.